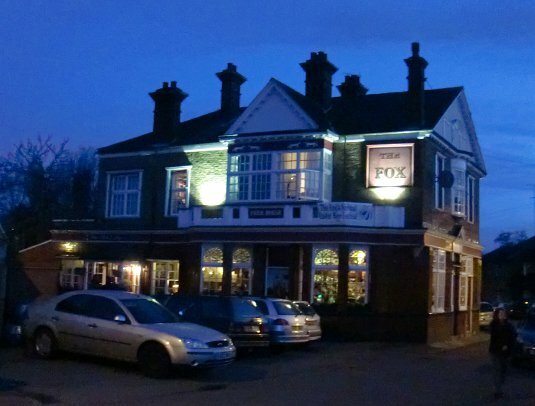 I attended The Fox Inn Easter Beer Festival 2010 yesterday in West London. In challenging Bank Holiday weather conditions (showers and a cold wind) a group of beer enthusiasts sampled a range of real ales (and one perry). The Festival continues until Monday – if you’re in the Hanwell area I recommend a visit. 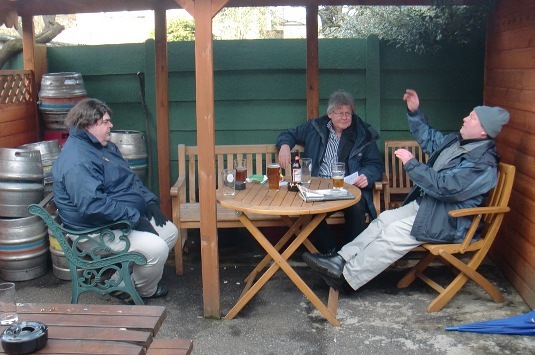 Pictured are fellow drinkers Nick Carroll, Tony Lennon and Chris Collier.